I must say that Ryde rims are really excellent. It was a pleasure and very easy to make well trued wheel. I used rear rim with offset which allowed me to keep higher tension on NDR while keeping perfect dish. Rims are wide and measure almost 18mm internally. They should be a good match with 25mm tire. They are shallow but for Alps you don't really need deep rims. 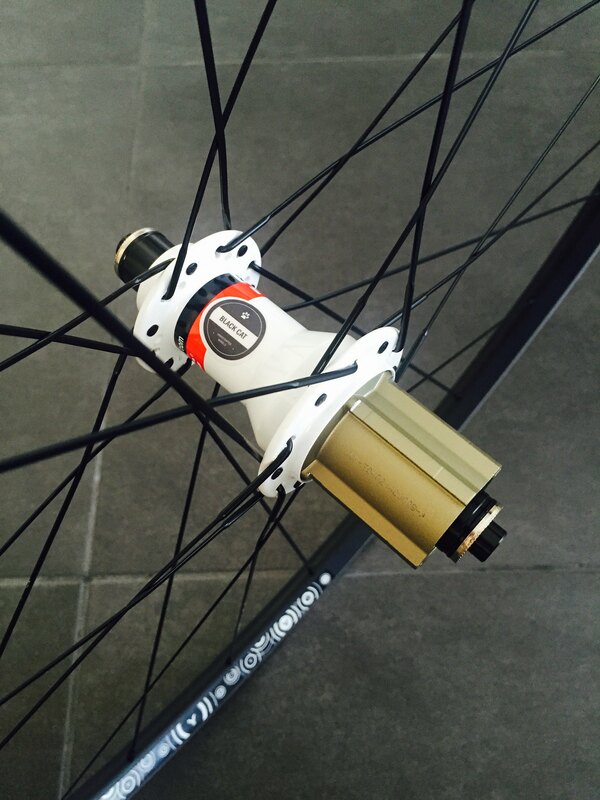 Each rims weights less than 380g which is excellent result. This is the most important factor if you want to have responsive wheels for climbing.